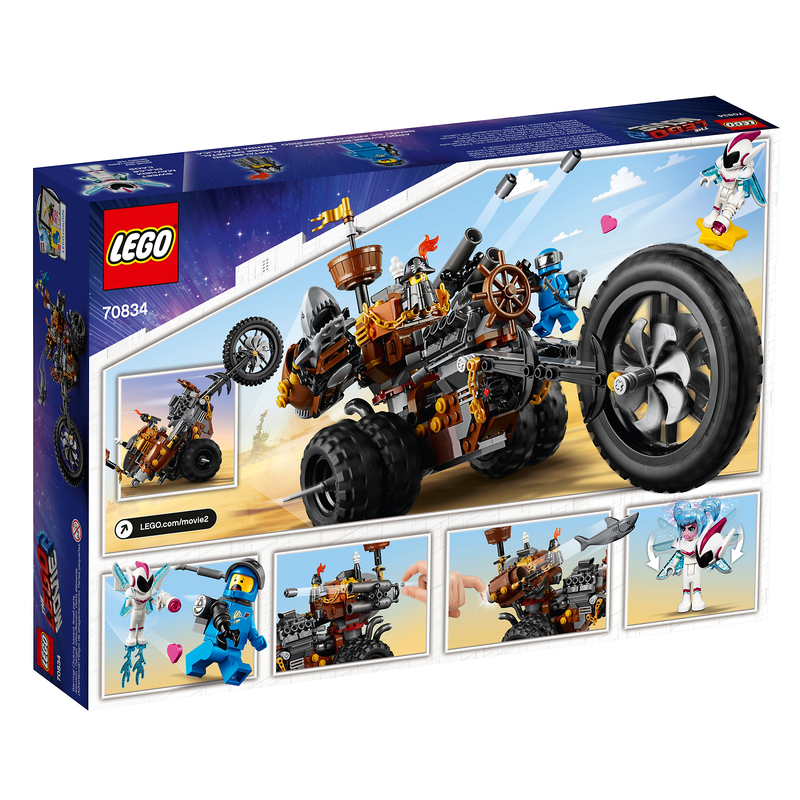 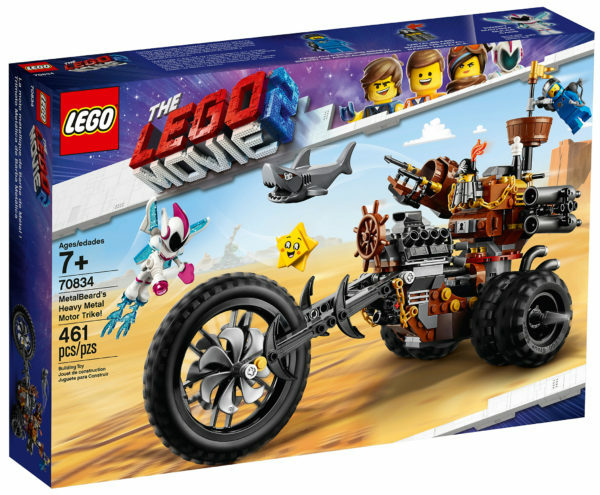 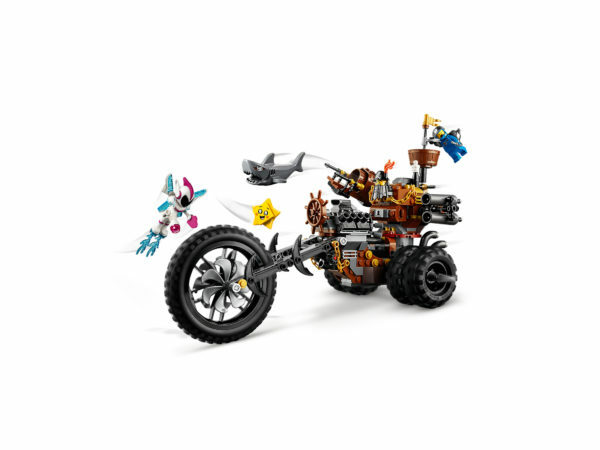 Power into battle against Sweet Mayhem and Star with THE LEGO® MOVIE 2™ 70834 MetalBeard’s Heavy Metal Motor Trike! 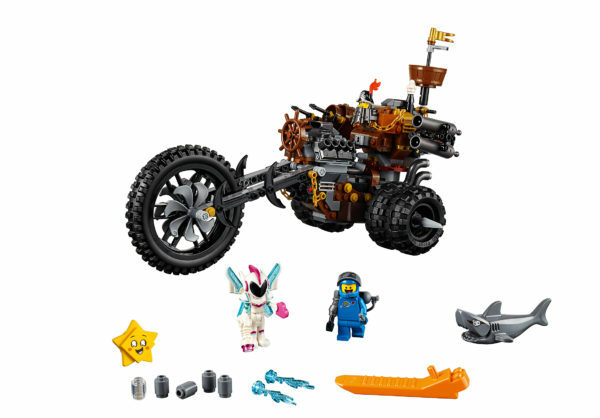 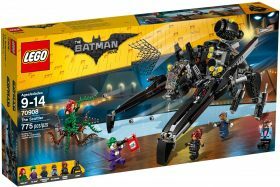 It features a built-in MetalBeard minifigure head, rotating turret with adjustable shooting cannons, adjustable shark shooter with snapping jaws, crow’s nest and flag and a huge front wheel. 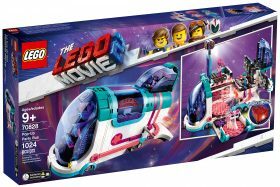 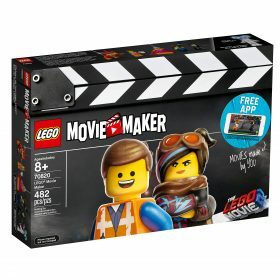 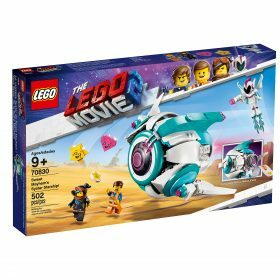 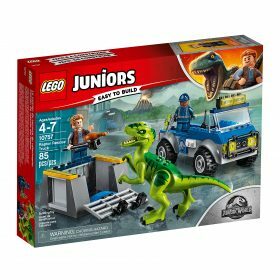 This fun-packed construction toy includes an Apocalypse-borg Benny minifigure and a Sweet Mayhem mini-doll figure with cool weapons and accessories, plus a brick-built Star figure to recreate action-packed adventures from THE LEGO MOVIE 2. MetalBeard’s Heavy Metal Motor Trike features a built-in MetalBeard minifigure head, rotating turret with 2 adjustable shooting cannons, adjustable shark shooter with snapping jaws, crow’s nest and flag and 3 wheels with rubber tires, including a huge front wheel. 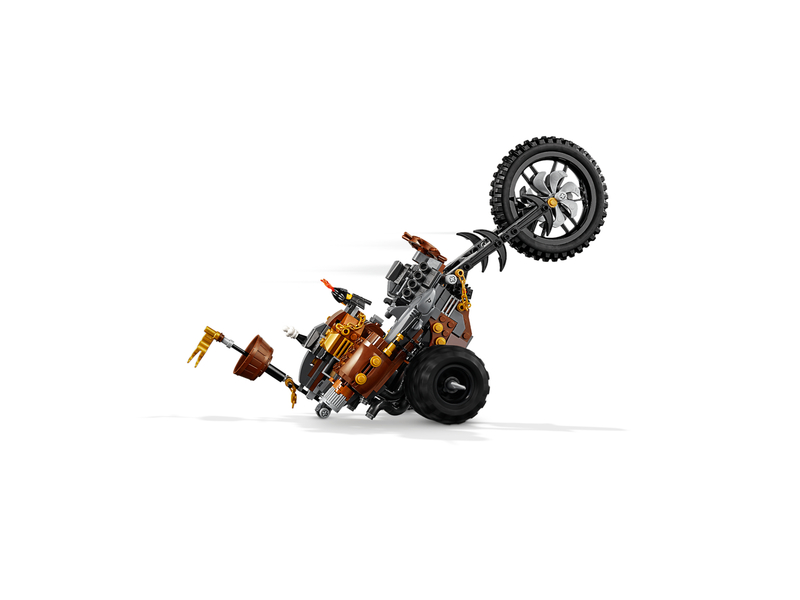 Also includes Apocalypse-borg Benny’s buildable welding tank. 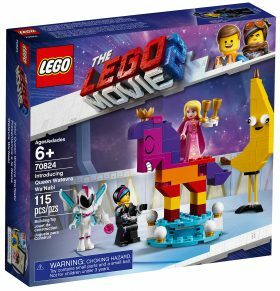 Use the Star toy as Sweet Mayhem’s glider.